Suddenly, you have a broken car that is no longer roadworthy and you know it is time to say goodbye. But what do you do with it? It’s broken, no one wants it right? So how would you sell a broken car? After some research, you happily discover that although your car is no use to you anymore, there are car wreckers that will pay you cash for your scrap car. Not only that, they will come and take it off your hands – or front lawn – for no charge! This is a bonus for you, but you may ponder exactly how your scrap car is still valuable to car wreckers and what happens to it once it gets there. How Much To Scrap A Car? You might be surprised to know that scrapping a car won’t actually cost you money. In fact, the wreckers will be the ones handing you the cash. How much cash will depend on the age and condition of the vehicle. Why are they paying you for something broken? Even though the car isn’t roadworthy, there are still some salvageable parts that can be used for other things. Because we have such close ties with our broken car partners here at Scrappit, we can let you in on a few of their secrets. You will know exactly what happens to your old vehicle once it hits the scrapyard. How to recycle Your Scrap Car! Just because your broken car is no longer roadworthy, it doesn’t that mean parts of it can’t go on to be useful in other ways. Once your old vehicle arrives at the car wrecker, it is given a thorough once over. Any components that are still functional can be added to an inventory and sold on as used car parts. They sell the unusable metal parts to metal recycling companies. About 75% of any vehicle are capable of recycling – great news for the eco-conscious among us. Even things like oil and antifreeze can be drained and reused. The most sought-after car parts include headlights, tail lights and indicators, seats, exhaust systems, mirrors and hubcaps. If the windscreen and windows are still intact, they may also be reused. If the engine is not completely destroyed, it may be sold to an auto-parts company who will rebuild it and give it a second lease on life. Larger wreckers may even do the rebuilding in-house. Once they remove the good bits of a scrap car, they sell the ‘shells’ to a scrap-metal yard. Just like you see in the movies, the bodies of the car are crushed, ripped apart, shredded or flattened until they are no bigger than a small box. These chunks of metal are then sold in bulk for processing and recycling further. Sell A Broken Car … Save The Environment! So, there you have it. Car wreckers are helping to save the environment by recycling broken cars. 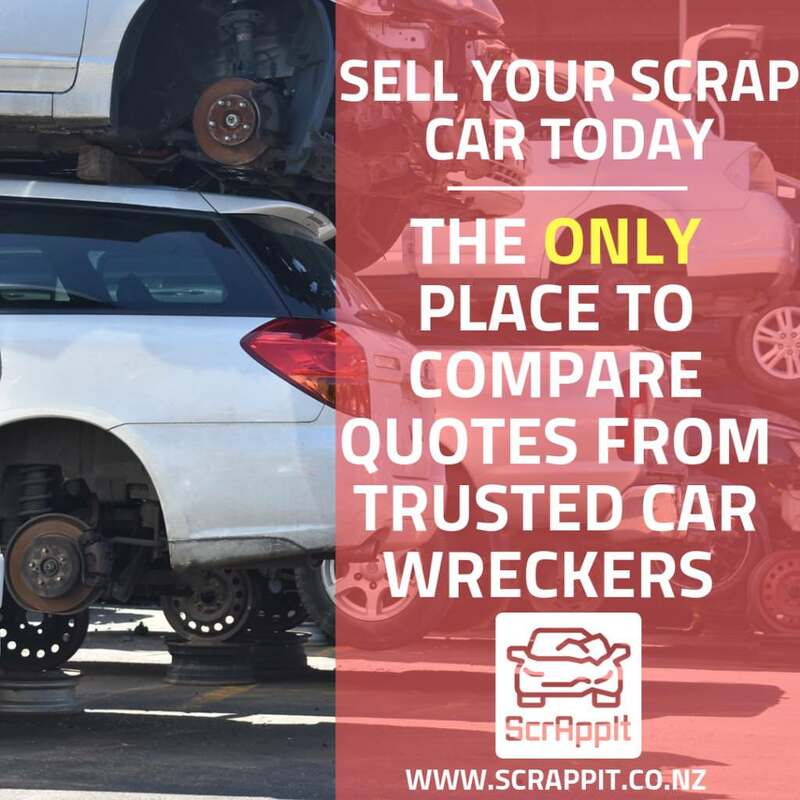 By using Scrappit’s unique and super easy three-step system to get cash for cars, you are not only ridding yourself of a giant metal burden and earning a bit of extra money, but you are also preventing unnecessary waste from ending up in a landfill – go you! Scrappit is your go-to broken car company. We have partnerships with a nationwide network of car wreckers to make it easy for you to get cash for your broken car. With a three-step online process that only takes a few minutes of your time to sell a broken car, you get a variety of quotes from cash for cars Auckland and nationwide. You can then arrange for your chosen wrecking company to collect your car.